We offer Used Sizing Sample / Direct / Sectional / Benninger Machine. - Creel for 32 warp beams (4 x 8 frames) diameter 1000mm with pneumatic disc brakes, max. working width warp beams 2000mm. - Double SUCKER MÜLLER sizing bath type SC50, serial numbers S120001321 / S120001322 year of construction 07/2001, max. size width 2200mm, computerized. preparation kitchen SUCKER-MÜLLER type RK, serial number BLS-003545 with display panels. - 2 + 10 Heated drying cylinders of these 8 x Teflon-coated. - 1 Beaming machine SUCKER MÜLLER type WE-10PC construction year 2001, computerized, max. width 4400mm, for beams with max. diameter 1100mm. We offer Used Sizing Machines. With beam to beam sizing attachment. 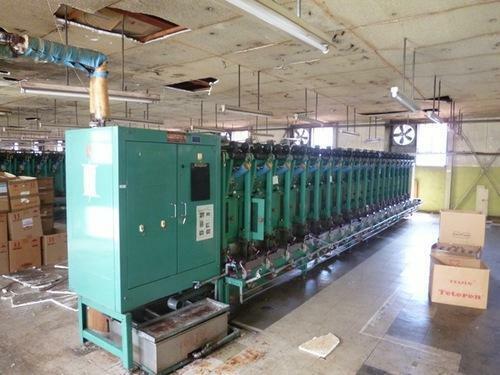 We offer Used Sizing Sucker Muller / Karl Mayer / Tsudakoma Machines which are suitable to work with sectional and direct warp beams. 12 drying cylinders at 5 bar, 6 tefloned and 6 stainless steel, width 2400 mm. 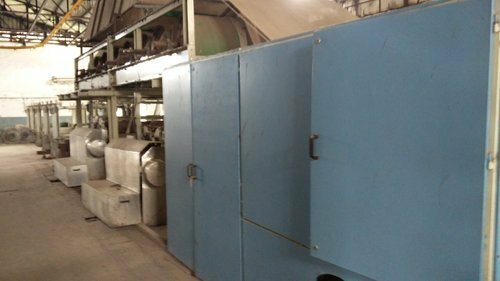 4 regulations of drying cylinders temperature Recovery group which allows the removal of yarn defect in sizing box when changing the beam. Looking for “Used Sizing Machines”?